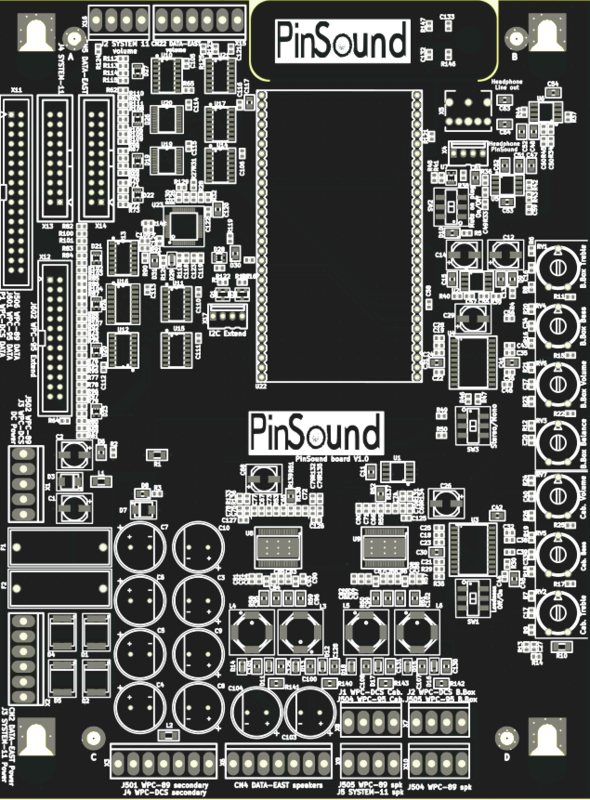 Here are fresh news about the PinSound board’s engineering ! 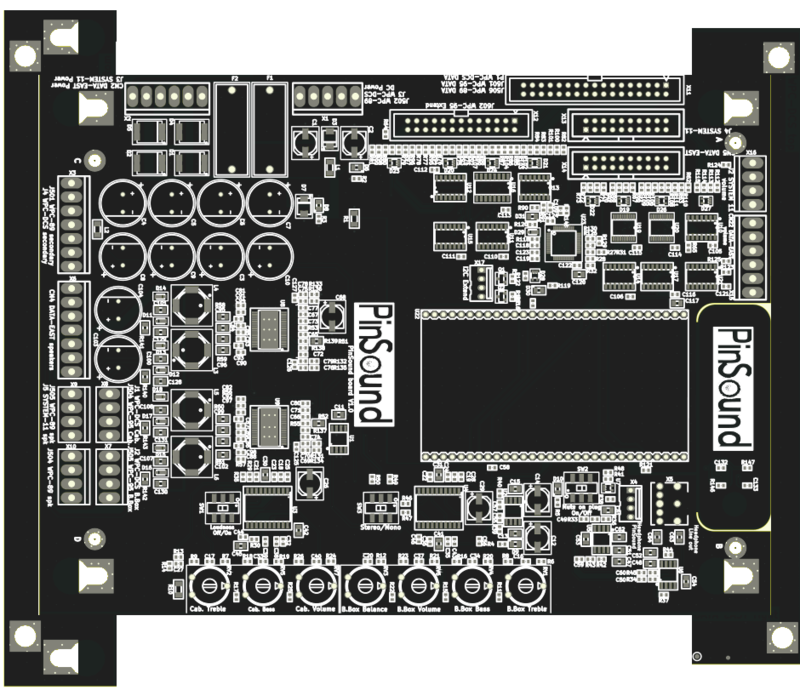 We spent the last month working and finalizing the mechanical design. 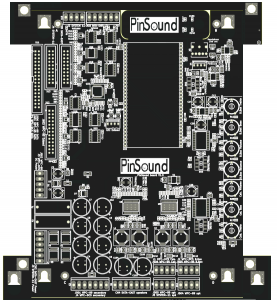 In order to be well integrated in every back-box of every supported pinballs. 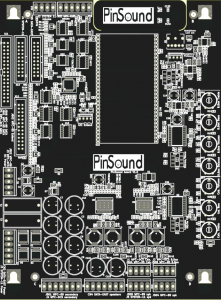 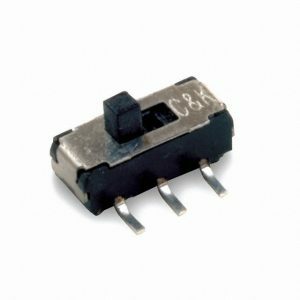 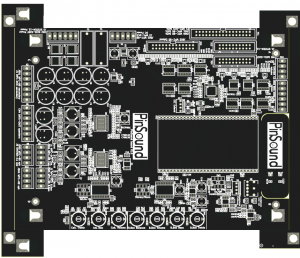 The PinSound board is the same size as the WPC-89 board. 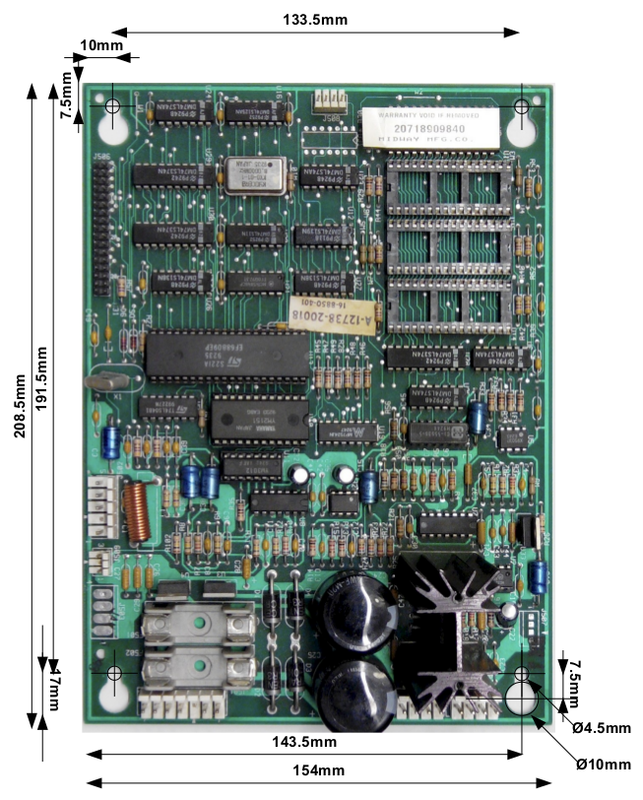 We add strips to fit the DATA-EAST and WPC-DCS as they are wider. We also added switches for MONO/STEREO and BASS BOOST instead of too easy to loose jumpers. 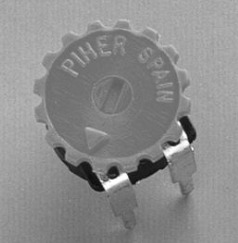 Tuning potentiometer are now with a thumb-wheel adjustment instead of screw driver one. There is a hidden bonus on the board, will you find it?